Parramatta’s Dylan Brown tops our first ever Rookie Rankings, a weekly column looking at 10 of the best rookies in the NRL. Taking into account their previous round performance and their season as a whole, these rankings will help keep an eye on the best young talent in the competition. 18-year old Dylan Brown’s first NRL try showed us just a glimpse of what the five-eighth is capable of. He skipped around a defender, put Jaeman Salmon through a gap and backed up inside to score under the posts, putting an exclamation mark on his side’s victory. Backing up last week’s impressive debut against Penrith, the Hikurangi junior ran for 79 metres and also forced two drop outs. Targeted in defence, Brown has more than held his own, registering 49 tackles so far with just one miss. 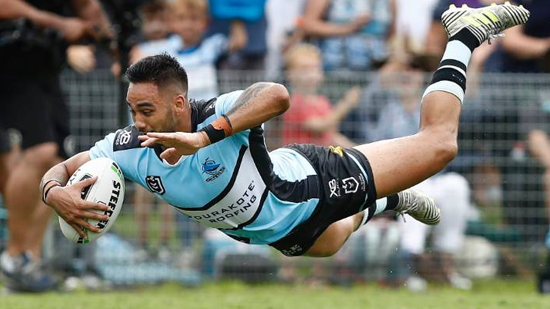 The transition from club great Luke Lewis to rookie Briton Nikora has been near seamless so far for Cronulla. Playing on the right edge and wearing Lewis’ number 11 jersey, Nikora ran a beautiful line to hit a hole from a Matt Moylan short ball to score his first NRL try against the Titans. The former Junior Kiwis representative added 126 metres and 33 tackles in his 65 minutes, near identical numbers to those he put up in his debut last weekend. While Tevita Pangai Junior was the star of the show in Brisbane’s big win over the Cowboys, 19-year old Thomas Flegler was near unstoppable after coming off the bench. After a modest debut against the Storm last week, the Tully junior showed his potential with an immense 30-minute stint after being subbed on in the 25th minute. He ran for more metres than any other player on the field, making a line break, three tackle breaks and 22 tackles without miss along the way. Ipswich product Thomas Mikaele was a force once again off the interchange in the Tigers big win over the Warriors on Sunday afternoon. The former Queensland under-18 representative averaged 10 metres a carry, totalling 91, with 34 of those post contact. Backing up a great debut in Round 1, Mikaele was forced to do less work in Round 2 as his side cruised to victory. 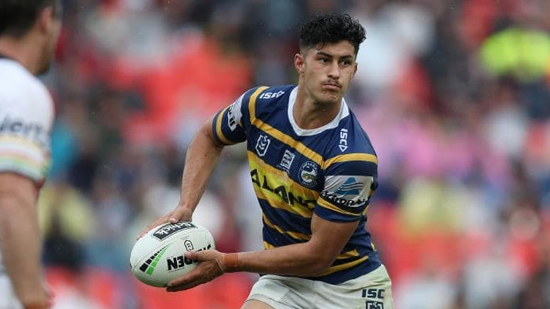 From bush footy in Gundagai to helping a re-surging Parramatta Eels side, winger Maika Sivo is repaying the faith of coach Brad Arthur week by week. The 25-year old terrorised the Bulldogs edge with 150 run metres, 56 of those post contact, bettering his numbers from his debut. He has also proved a solid defender on his wing, yet to miss a tackle in the NRL. All that eludes Sivo is his first NRL try. Adam Keighran may well have topped the Rookie Rankings had we done them for Round 1. After a brilliant debut last week, Keighran was kept quiet as his Warriors side failed to fire in a big loss to the Tigers. The Central Coast junior wasn’t as involved as the week before, running less and kicking only once on a wet, muggy night in Campbelltown. In his four NRL appearances last season, Jack Williams showed he could be a solid contributor to the Sharks forward park and has continued to prove that so far in 2019. The Cooma junior has averaged 62 metres and 23 tackles in 2019, including running for 83 metres and making 32 tackles in his side’s win over the Titans at home. A standout in the Cowboys’ pre-season fixtures, Mitchell Dunn was once again a bright spot in a dismal team performance. A half turned second rower, Dunn returned to the halves after an injury to Nene Macdonald forced a back line shuffle. Working on the edges, Dunn set up the Cowboys first try with a nice cutout pass to Jordan Kahu and ran for 90 metres from eight runs. Canberra’s fiery rookie Corey Horsburgh showed no fear in taking on the Storm’s impressive pack on Friday night. The Caboolture junior was given more playing time than in his debut last week and gave back more runs, metres and tackles. Unfortunately, Horsburgh was perhaps too energetic, giving away three penalties in the loss. After just a 17-minute stint in his debut last week, Blayke Brailey got to see considerable playing time against the Titans after his brother, Jayden, went off with a head knock. Coming on in the 24th minute, the younger Brailey played out the rest of the game and didn’t look out of place, racking up 38 tackles in 56 minutes. Reuben Garrick continued his solid start to NRL life, running for 114 metres and setting up Jake Trbojevic with a nice floating pass in Manly’s loss to the Roosters. Garrick’s team mate Corey Waddell impressed on debut. The former Panther ran for 90 metres off the bench and made 28 tackles in 43 minutes. A late call up after an injury to Cooper Cronk, Lachlan Lam played 40 minutes off the bench in the Roosters’ win, setting up a try and making 17 tackles without a miss.